We're so glad that you found us, and we can't wait to start working with your family and child! We are currently accepting applications for children with cancer living in or receiving treatment in New England. Unfortunately, we are no longer able to fund outside of New England. Please click here for a list of other organizations that may be able to support your family. For additional questions, please refer to our FAQs. We will always be here for support and questions through your child's cancer treatment and beyond. We will be in touch as soon as we receive your application to let you know about the availability of our funding. Below, you have the option to complete the application in its entirety online, right on this page, or you can download the forms below. Marca aqui para información y una aplicación en español. Below you will find the online version of our application, including an intake area for general information about your child and contact information to reach you, as well as 3 forms that should be completed, and the Medical Permission form to download/upload (must be signed by your child's oncologist clearing his/her participation in activities of interest). All information is encrypted, private, and secure. Please note: this application includes personal information and the signature of the child's parent/guardian in order to release that information. If you are not the parent/guardian but would like to help the family of a child with cancer to complete the application and they are not present with you for the signature portion required below, please click here to complete a referral form, or click here to download the application to share with the family. If you are a patient over the age of 18 and you are applying on your own behalf, please check this box and complete the following contact information with your personal information. I am a patient over the age of 18 applying for myself; please contact me directly at the below information. I am a parent/caregiver, applying for my child. Please note: this application MUST be filled out by a parent/guardian or adult over the age of 18. Please share this application with the family, or go to lucyslovebus.org/referral to refer a family with their permission. Individual funding through Lucy's Children™ is available only for those who were diagnosed with cancer before the age of 21. Which best describes your child's treatment status? *Please double check that your email address is correct; this is our preferred form of communication! Marca aqui si prefiera habla en español. Text o email está preferido para comunicación en español. 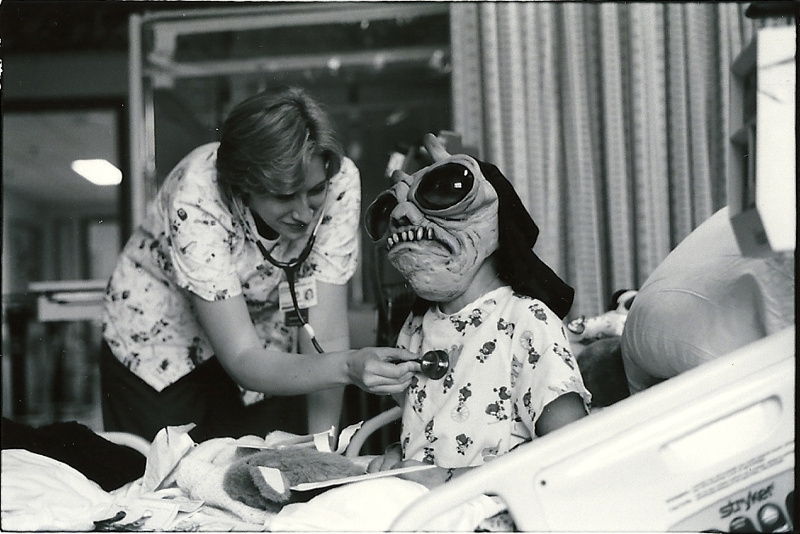 In which hospital is your child treated? Please enter your child's oncologist and his/her phone or email. Please enter your child's social worker and his/her phone or email. Note: We require a signed medical permission form from your child's oncologist clearing their participation in any activities of interest. See more at the end of the application below. As of 2019, the above listed therapies are the available therapies that Lucy's Love Bus funding can cover. Do you already know who you would like for your child to work with/where you would like them to go for their chosen therapy? Yes, please find their information below! No, please help me find someone local and qualified to work with me/my child. Please let us know the person/business your child is working with, and their contact information. We will get in touch with them to discuss more about our organization, payment, and have them complete some forms before we can pay them for their services. If your child is already working with someone, please call them and a) let them know someone from LLB will be calling to discuss payment and ask who the best person to speak to about billing would be, and b) give them permission to speak to us about your child. We're happy to make suggestions on what therapies may be helpful based on your child's symptoms, complications, and desires. What physical and emotional symptoms are you hoping to help your child alleviate through the use of integrative therapies? Depending on your location, we try to find practitioners within 25 miles for most services, 50 miles for therapeutic horseback riding. How did you hear about Lucy's Love Bus? We require a medical permission form signed by your child's oncologist clearing his/her participation in any/all therapies your child may want. We must receive this signed permission form before we can pay for services for your child. Please click below to download the form (which may be submitted at a later time) and upload the signed form below if you may have that piece completed already. 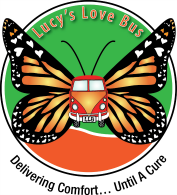 We will need a medical permission form signed by your child's oncologist in order for him/her to receive integrative therapies, paid for by Lucy's Love Bus. Do you already have this form signed? Yes, we have a signed medical permission form and will send separately. Yes, we have a signed medical permission form and will upload it below. No, we do not have the signed medical permission form, please email it to me. No, we do not have the signed medical permission form, please email it to our social worker. Please be sure to double check both your email address and your social worker's email address if you need us to email the medical permission form! Please download this medical permission form and present to your child's oncologist for a signature indicating which therapies your child is medically cleared to participate in at this time. If the permission form is already signed by your child's oncologist, you can upload the file here. Please note: if you do not have the signed permission form at this time, it can be submitted separately by email, fax, or mail. We will need it completed before your child can receive services. We pride ourselves on matching your child with the best practitioner(s) to meet their needs. While we require proof of applicable certifications and licenses from the practitioners we work with, we require that you stay with your child throughout their appointment to ensure their safety and comfort. Lucy’s Love Bus has provided this material for your information. It is not intended to substitute for the medical expertise and advice of your primary health care provider. The mention of any product, service or therapy is not an endorsement by Lucy’s Love Bus. The Grant Process: What happens now? Once we receive the completed application for your child, we will confirm receipt and discuss current options for funding. Please allow up to two weeks for initial contact after you submit your application. Once funding becomes available for your child, we will reach out 3 times by your preferred contact method to arrange for connecting your child to therapies. If we are unable to reach you, we will reallocate the funding to another child with an immediate need, and you are welcome to reach out when your child is ready to receive services for an update on our availability of funding. By accepting funding from Lucy’s Love Bus, you agree to participate in one brief annual survey so that we can assess our programs and to aid in securing more funding for children with cancer. This survey is conducted by email or phone, consists of 5 questions, and takes less than 5 minutes to complete. We appreciate your support in capturing the benefits of our work together. Your signature below signifies that you agree to participate in this survey, and that all information submitted as part of this application and in the future to Lucy's Love Bus is true. All electronic signatures below must be completed by the child's parent/guardian. By checking this box and signing my name below, I am electronically signing this agreement. Thank you for completing the intake portion of the application! Please review our HIPAA Notice of Privacy Policies, Authorization to Use or Disclose Health Information, and Release and Agreement and sign each below in order to complete the application in full. Click here to read our HIPAA Notice of Privacy Policies, and then sign the agreement below. I have received, read and understood the Notice of Privacy Policies of our organization. I understand how Lucy’s Love Bus Charitable Trust may use or disclose my child’s health information. I understand when Lucy’s Love Bus Charitable Trust may not use or disclose my health information. I understand my child’s health information rights and understand that Lucy’s Love Bus Charitable Trust reserves the right to change this Notice of Privacy Practices. I also understand how to place a complaint regarding this Notice and have also been provided the opportunity to review and question the privacy policies of Lucy’s Love Bus Charitable Trust. By checking this box and signing my name below, I am electronically signing this agreement (HIPAA Notice of Privacy Policies). This disclosure agreement allows us to give general health information to local practitioners in order to connect your child to the best practitioner given his/her individual health situation and needs. The most we will share as a part of the search process is: age, diagnosis, and symptoms. I may revoke this authorization in writing. If I did, it would not affect any actions already taken by Lucy's Love Bus based upon this authorization. To revoke this authorization, write a letter to our Director at: Lucy’s Love Bus, PO Box 464, Amesbury, MA 01913. Once the office discloses health information, the person or organization that receives it may re-disclose it. Privacy laws may no longer protect it. By checking this box and signing my name below, I am electronically signing this agreement (Authorization to Use or Disclose Health Information). Click here to read our Liability Release, and then sign the agreement below. By checking this box and signing my name below, I am electronically signing this agreement (Lucy's Love Bus Release and Agreement). If you're ready, click "Submit Now" and your application will be sent to Jackie, Director of Programs! If your application is submitted successfully, you will be redirected to a confirmation page and sent a confirmation email to the email address you listed above. If you do not see a confirmation page and receive a confirmation email, your form was not submitted successfully; please refresh, or complete a downloadable application below and submit to Jackie@LucysLoveBus.org. Please allow 1 week for a response by your preferred method of communication after you click "submit now." For questions, please email Jackie@LucysLoveBus.org or call 978-764-4300. Welcome aboard the Love Bus! Please note that this application will be for funding awarded in 2019. *Remember: if you clicked the "Submit Now" button above and your page did not redirect to a confirmation page or you did not receive a confirmation email, your application has not been submitted. Please click the above button again; if it still does not work, please go to File > Print and change destination to "Save as PDF." This will allow you to save all of the entered information as a PDF; please email this PDF to Jackie@LucysLoveBus.org (the formatting will look weird, but all of the information you entered should be saved). We will be in touch once we receive your application to welcome you aboard the Love Bus!